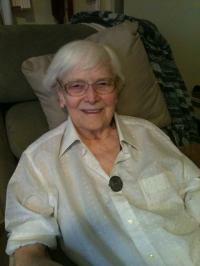 Trudy Dobson of Edmonton passed away peacefully at the age of 88 years. Trudy will be lovingly remembered by her husband Rick of 64 years; son John (Carol); daughter-in-law Sylvia; granddaughter Jennifer (Ryan), great grandsons Tyler and Jared; granddaughter Sarah (Kevin), great granddaughters Calleigh and Lauren. She was predeceased by her son Herb in 2012.